The Chiefs Hockey Club is a family oriented, not-for-profit organization with the primary goal of enriching the lives of member families through an outstanding youth, ice hockey program. 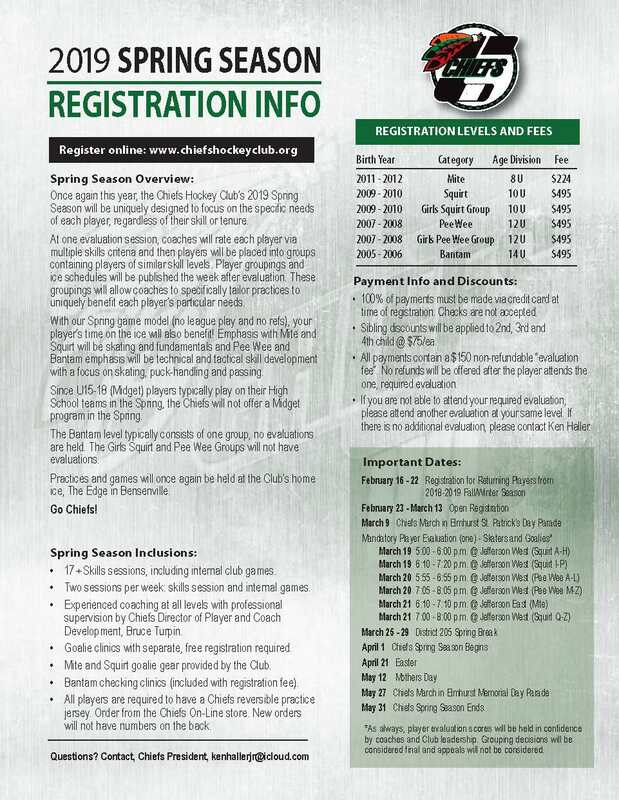 The club is based in Elmhurst, IL, serves many surrounding suburbs and has home ice at The Edge Ice Arena in Bensenville, IL. 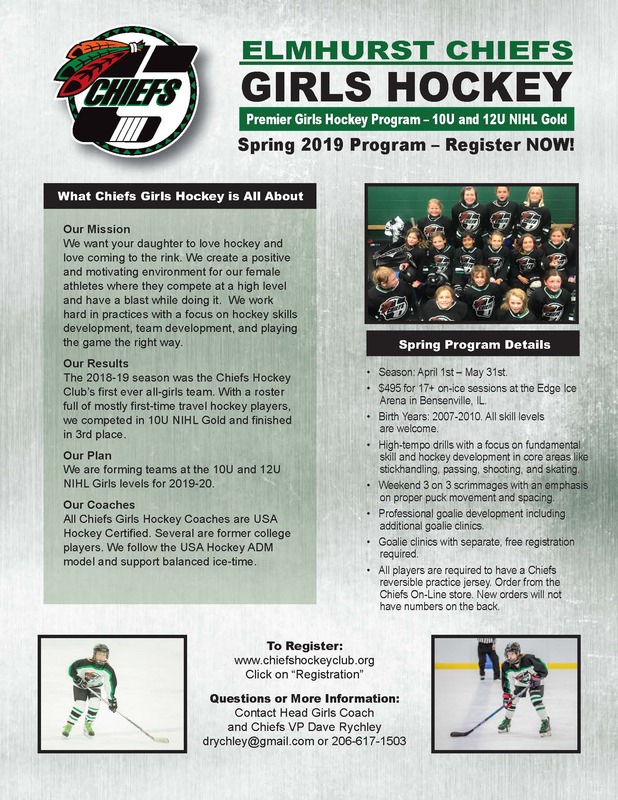 For information on the Chiefs Girls Hockey Program, click here.